Our organization is positioned at MEDAN (Indonesia) and has gained immense acknowledgement and a respected place in the market. We have a sound payment policy. Following it, we maintain transparency and only use methods that are safe, secure, and legal. Our clients can choose out of number of options as per convenience. 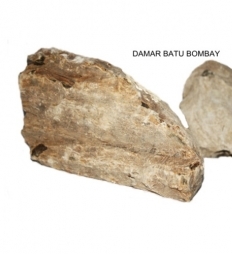 Bombay Damar Batu Stones are widely used in making incense, Agarbatti, paints etc.